This is often seen as one of the trump cards BigCommerce has at its disposal. It is possible to create and awesome online store using this platform without investing too much into BigCommerce development. All the most important modules are available as pre-built features, so it falls to the front end work to provide the final outlay of the website. It also minimizes the possibility of making fundamental mistakes. The simplicity of back end work (which is really rudimental in these cases) ensures a properly working engine behind your online store. Although somewhat limited in options due to this fact (any BigCommerce integration that is not listed as default can prove to be somewhat troublesome to pull off), it compensates with the seamless way to integrate and use the modules that are already part of the platform core. It is enough to think about all the trouble you can have with some other solutions and the integration of 3rd party services into your eCommerce system under those, and you will realise why BigCommerce development services are so much easier to obtain, and without the risks that are related to open source solutions. 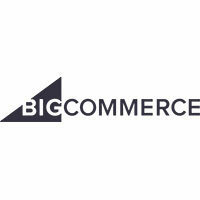 A very short time to market that is counted in weeks is another big plus for BigCommerce as a platform of your choice. As it requires mostly front end work, all the operations in that segment can be carried out within a few weeks, and you can go live with your website in a record time. By doing so, you are able to focus on the sales and marketing, and get the entire system going in no time, compared to the more complex options which usually take months to develop and deploy. The repercussions of this approach are rather easy to comprehend – you will be able to sell online faster, focus on the really important part of the business, and get a ready to go solution that always works fine and without serious problems. Also, the speed of deployment means that the investments in design and development will be lower. The fact that all the modules you will be using are already pre-integrated into the platform means that there will be not many issues when it comes to integrating crucial components for your operations. This is best shown in payment processor integration. Your BigCommerce developer of choice will not have to engage long and trouble prone process of integrating PSPs into the system, as there are already pre-built integrations for all the major payment options (MasterCard, Visa, PayPal, etc…). This may seem as a small thing, but the fact is that integrating all these options in a less automatic way is something that often requires substantial working hours, and on top of that – can be easily carried out in a wrong way if your website designer lacks experience in such operations. Investing too much in eCommerce website builder (platform and agency working on it) is something you wish to avoid at any cost if possible, especially if you just want to start selling online. Naturally, the more complex solutions are demanding in terms of website design and development work, so in those cases, the working hours needed to create a website come in larger volumes. For this reason, the BigCommerce web design is definitely one of the best and cheapest options for the beginners. Additionally, the fact that this is a SaaS (software as a service) eCommerce platform, means that there is no need to invest in hardware and internet connectivity. Simply, everything you need is provided by the vendor, and all you need is a PC or a laptop to run all your operations. Needless to say, the maintenance costs in terms of hardware and connectivity are also non-present. All of the mentioned makes BigCommerce one of the cheapest options available on the market, and that is not a small thing when you are a small startup, or a brand that enters the online market for the very first time. Determining scope of your eCommerce endeavours is crucial for the entire strategy you are about to apply and directly determines whether you will have any chances to succeed or not. If you are running a brand that has never been sold online, or you are just starting your internet retailing company, BigCommerce will be a natural fit for your operations. It means that the scope of things you will pursue falls into the scope of platform capabilities, and you will most probably be able to carry out everything you intend to do using this platform. Remember – the best eCommerce sites are so good because they are perfectly adapted to the needs of the retailers! What needs to be done: Determine the scope of your business and make sure that the BigCommerce can provide all the features you will need. How to do it: Simply put the strategy on a paper, and compare to the capabilities of the platform. If you are new into the online selling business, you will most probably need some expert help. Web agencies with a good record when it comes to BigCommerce design and development are the obvious choice for this. Studioworx is one such agency, so we are able to make the assessment for you. Determining channels to carry out your online trade is another thing that needs to be taken into consideration. If you are aiming for a simple brand/retailing eCommerce website, then there is no much need to overthink the issue. Still, there are few if any retailers who managed to make an impact using only one channel for their online trade operations. You will need an expansion at least to most popular marketplaces such as Alibaba, Amazon, and eBay. Make sure you would be able to put your listings there using BigCommerce. For the mentioned ones, it is not too complicated to make the assessment, but if you wish to use something more exotic, like Rakuten or Coolshop, it is not a bad thing to double check the feasibility and required resources with your web developers. Also, managing listings on marketplaces and conducting brand identity building campaigns where applicable is something that needs deeper analysis and expert recommendations. Also, social media selling options should be considered and analysed in a proper way. You will need some help with this as well, as it is rather tricky to determine which options will provide the best ROI. What needs to be done: You need to determine all the sales channels you wish to pursue and the best approach to carry out these operations. How to do it: You should by all means consult the agency that has the necessary expertise and experience with multichannel trade using BigCommerce. Once again, Studioworx will be able to help you make all the necessary assessments and projections. Knowing exactly what you intend to do and how to do it is something that always ensures success. Determining the goals on a sound basis is a bit harder than it seems at the first glance, especially if you never sold anything online. Also, knowing how to conduct proper marketing campaigns that go from brand identity building, via direct marketing, to social media marketing and media buying is something that really requires vast knowledge and a lot of experience. This is one of the fastest moving segments of IT business, and being able to devise and execute an effective marketing campaign is essential. Of course, in order to carry this out in a seamless way, without using various separate tools is something that saves a lot of time, increases efficiency, and eliminates possibility of making critical errors. You will need all the help you can get in this segment as it requires both strategy development and web development tasks (picking and integrating proper add-ons). What needs to be done: You need to devise a strategy for marketing your products and pick the tools to carry out these operations. How to do it: Turn to the best marketing consultants you can get! The most common thing that separates brands and retailers with similar offer is their ability to reach the market. We at Studioworx have an extensive knowledge and a lot of experience in all segments you will need to use in order to devise and conduct a powerful marketing campaign in a holistic way which will leave no segment uncovered. Determining the UX design on your eCommerce website is something that should be left to the real professionals, and there are several reasons for this. First of all, the website needs to be not only kind on the eyes, but needs to be organised logically and allow easy and comfortable browsing and logical customer journey. If you come up with a UX design that looks really great but confuses the customers – it won’t convert well. This reflects not only on conversion rates, but also on brand identity, brand reputation, and customer loyalty. It is rather simple to explain why – people buying online appreciate simplicity, and they don’t want to waste too much time on the shopping. The fastest you can bring them to the decision making point the better. This is why UX design issues need to be taken seriously. What needs to be done: You need to come up with the design that will positively influence all segments of your business, from conversion rates to customer satisfaction. How to do it: Again – let the experts do their mojo. Studioworx is an award winning agency when it comes to BigCommerce design, and we know EXACTLY how to approach UX design of your eCommerce website and make it work really well in all segments. The fact that we are based in Yorkshire, United Kingdom, says a lot. The competition when it comes to web design and web development in UK is more than stiff, and we are at the very top of the market when it comes to the quality. Finally, there is a need to consider how you intend to run your operations on BigCommerce platform. As we already mentioned, it is a SaaS platform, so you can easily do everything from your office, but actually taking care of each and every segment is not so easy and simple as it seems. Taking care of data entry, marketing campaigns and orders is far from a simple operation, so you need to determine whether you will do it using internal resources or you will take the outsourcing path. The good thing is that you can segment this part and run some operations internally, and outsource the others. What needs to be done: Determine the way to carry out daily operations in all segments and make assignments. How to do it: You can easily determine if you have internal resources for order processing and listings. Still, for advanced listings in multichannel online trade and marketing campaigns, sooner or later you will need external help. Once again Studioworx is at your disposal for all the operations you might require. We can provide services both internally, and through our network of partners. When all of this is processed and settled, you should be more than capable to hit the market hard and make your online shop successful. In case you would like to get more specific explanations and proposals on how to organise your BigCommerce based online shop, we are at your disposal for consultations. Feel free to contact us via our website or give us a call!